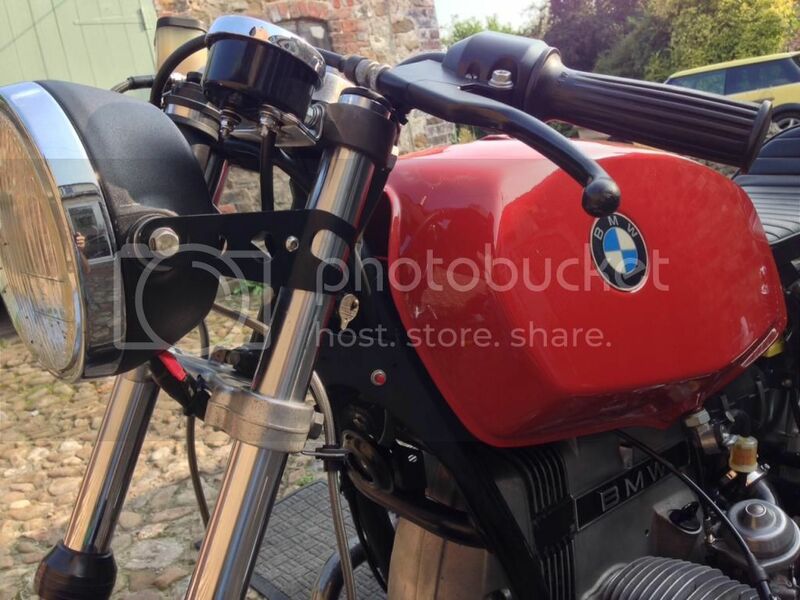 Never set out to make a Cafe Racer style bike, but the clocks and plastics were shot and an Acewell speedo with Vonzeti seat and subframe seemed to be the best answer. This isn't a restoration, just got the motor running well and a quick tidy up. I'm sticking with standard bars and silencers for now as I want to be able to use it without breaking my back or perforating my eardrums! 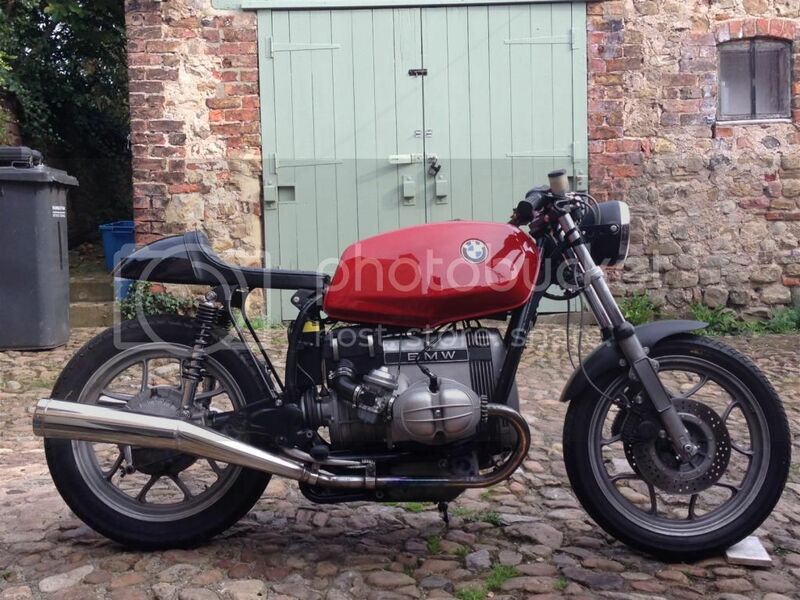 It's amazing what a good looking bike the R65 can be with a little imagination and a grinder! Very well done and where did you get the front mudguard from. Thanks for the positive comments. Just chopped the original front guard down, shaped it with a sanding wheel and sprayed it satin black with a rattle can. Couple of stainless bolts and washers instead of the original rivets. I must admit that I'm pretty pleased with the way the bike has turned out. I didn't want it to end up too 'shiny' as I'm quite keen on a bit of patina (and I'm lazy!). I'm particularly proud of the charge light which fits snugly in the 10mm hex hole in the fork top nut! 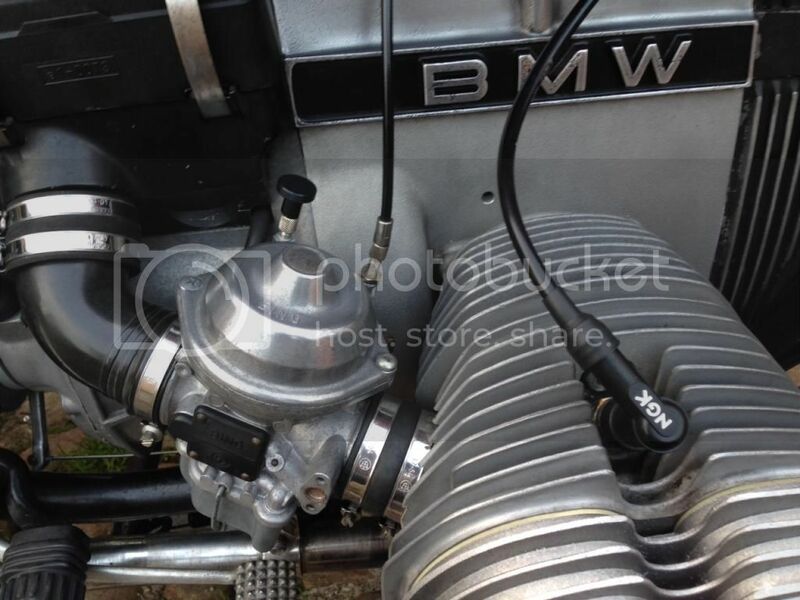 Like the carb mounted chokes as well (bought from Germany). 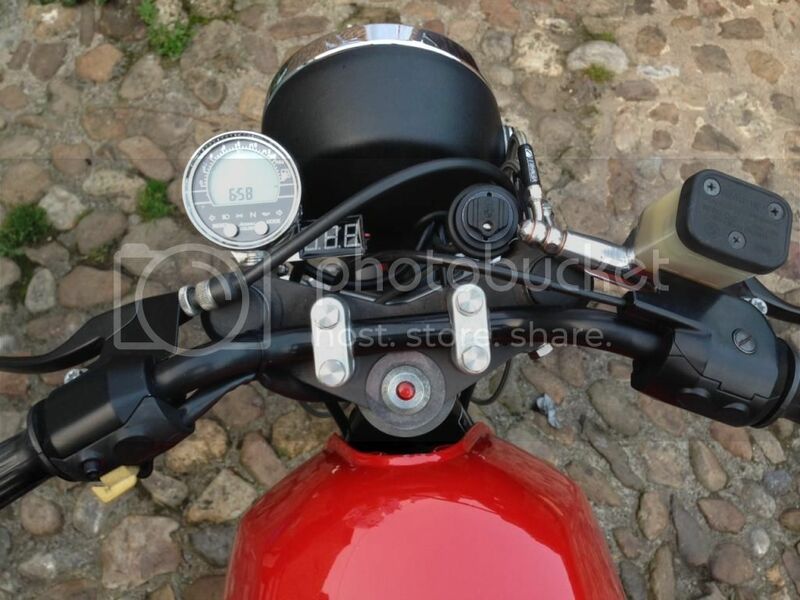 Along with moving the starter button to the frame gusset in front of the tank (you can just see the red button in the pic), this has cleaned up the bars no end. The headlamp brackets are just cheap universal ones off ebay. Think they were about £8.00. Just make sure that the adjustment includes 36mm. I made the ignition switch holder - turned up a bit of Delrin on the lathe and then fastened it on with a stainless 'P' clip. Really recommend the Acewell - it's a lovely piece of kit and works perfectly. Took a bit of effort to hide all the plugs and wiring, but apart from that the fitting was easy. I bent the end of the bracket through 90 degrees and mounted it on the top fork yoke where the old clock/headlamp bracket went. Real eye turning R65 you have put together there, lovely. And the old-style valve covers look SO much better than the stock ones. Good choice. (I also put a set on mine). I'm interested in how you can get rid of those orange reflectors from the forks? Looks so much cleaner without them (and I'm thinking of powder coating my fork legs). 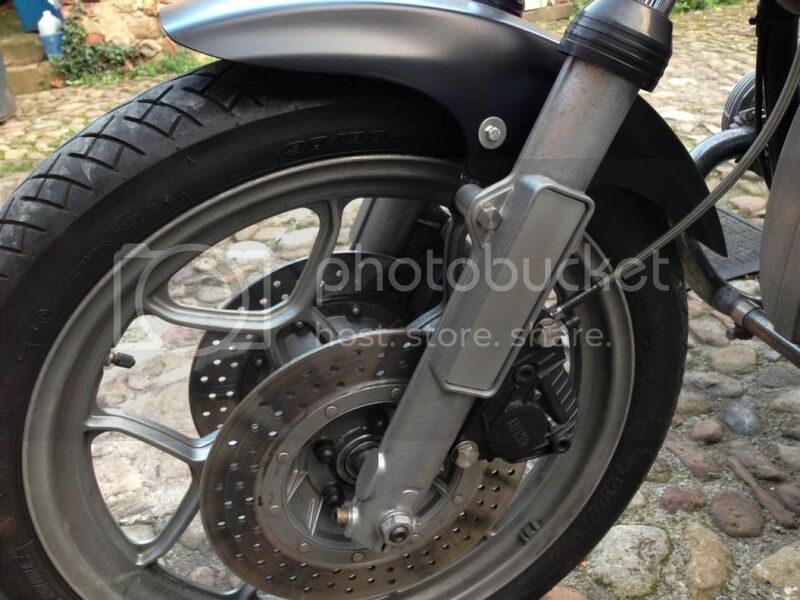 Photos show the orange plastic reflectors gone from the fork legs. If you are speaking of the cast-in-place frames, you've got a real project there. Grinding off most of the aluminum would be relatively simple. The nut to crack would be dressing the area to the same profile as the fork lowers, then figuring out how to match the textured surface of the lowers. Or rework the entire fork lowers to develop a smooth, polished finish.